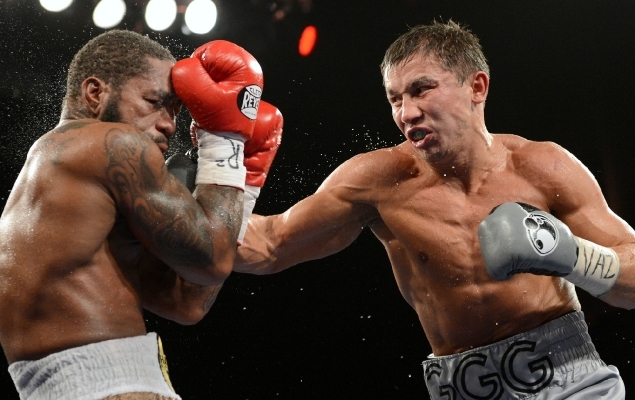 WBA (super) and IBO middleweight champion Gennady Golovkin (30-0) defeated Daniel Geale via third round destruction on Saturday night in Madison Square Garden. “GGG” was asked who he wanted to fight next in his post-fight interview and he wasted no time calling out champion Miguel Cotto. Of course, Cotto improved to (39-4) with a one-sided beatdown over Sergio Martinez in his last bout in June which also took place in Madison Square Garden. It’s a fight that would surely draw big interest. The real question is who do you think would win this currently hypothetical matchup?